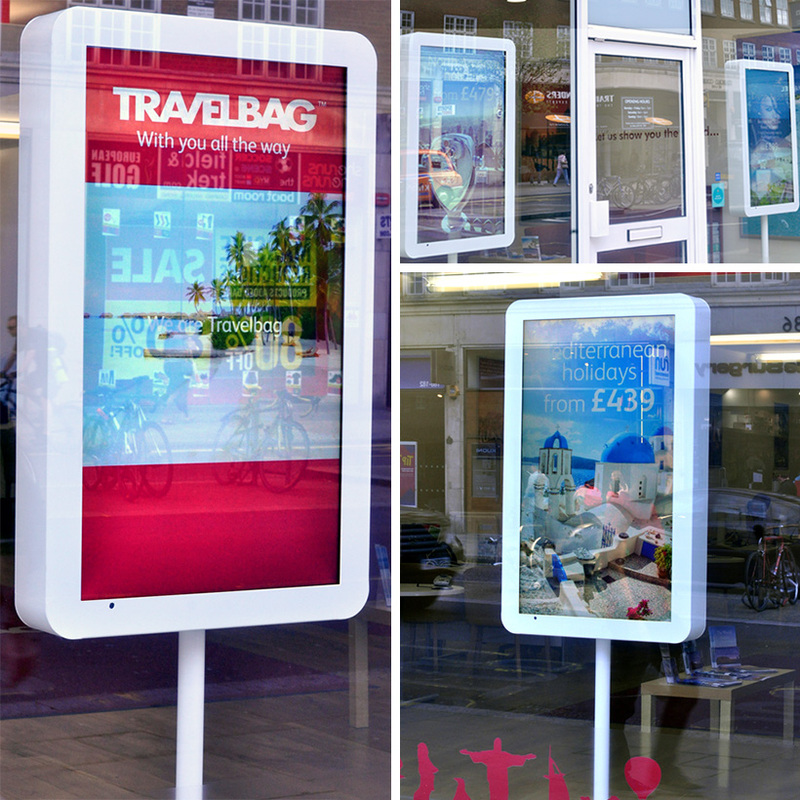 We designed this beautiful lollipop-esque kiosk to solve our window display dilemma for Travelbag, the high street travel agents. 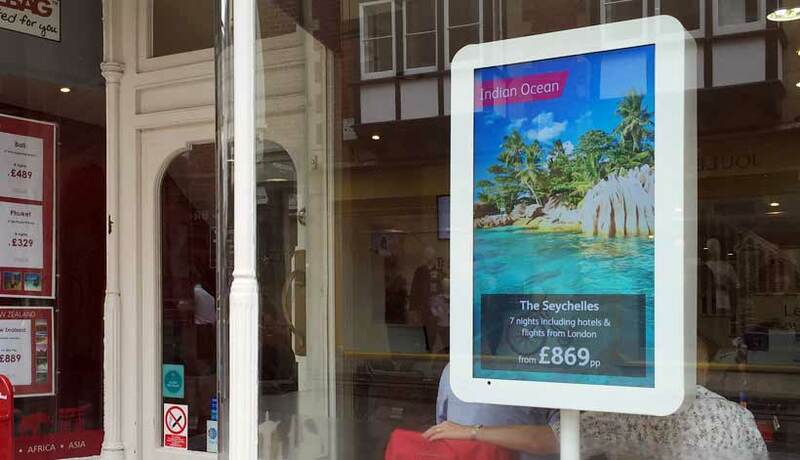 Seven Travelbags in England have now had their front windows beautified by pole dancing digital signage. Well, not exactly pole dancing. The screens themselves are static. We prefer to leave the moving component of our window entertainment to the content displayed on the screens. The content can jiggle about all over the place, but you can be sure that your screens are safe, secure and stable within their gleaming white kiosk. The true joy of these window display kiosks, though, is that they needn’t be gleaming white if you don’t want them to be. They can be branded or coloured to best fit their surroundings. They are custom made, so they can fit any screen size of your choosing. They can be as tall as you want, as short as you want, or we can even stick a whole bunch of them in your windows at different heights if that’s more your thing. They’re also created with cabling and repairs in mind, so you’re not sealing away your screen forever. Essentially, it’s all one neat package. We don’t even demand a window. These are brilliant for retail use, nestled in amongst your products in store, or even in entrance ways displaying way finding information. Expect these digital lollipops to pop up in windows and stores near you.